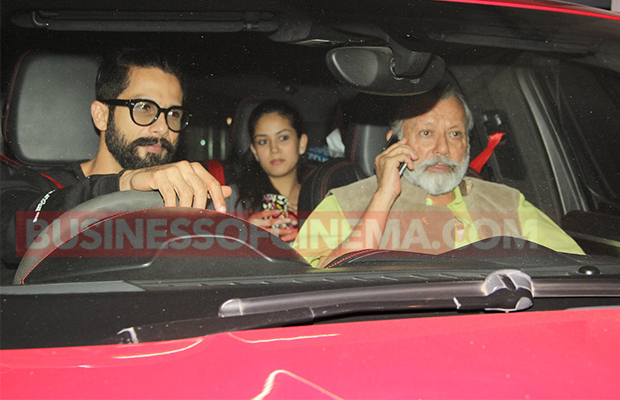 Shahid Kapoor With Wife Mira And Dad Pankaj Kapoor At Private Screening Of Rangoon! Bollywood actor Shahid Kapoor, who has geared up for the release of his upcoming film Rangoon, was clicked with his wife Mira Rajput and dad Pankaj Kapoor at the screening of the film, in Mumbai on January 18, 2017. 1. 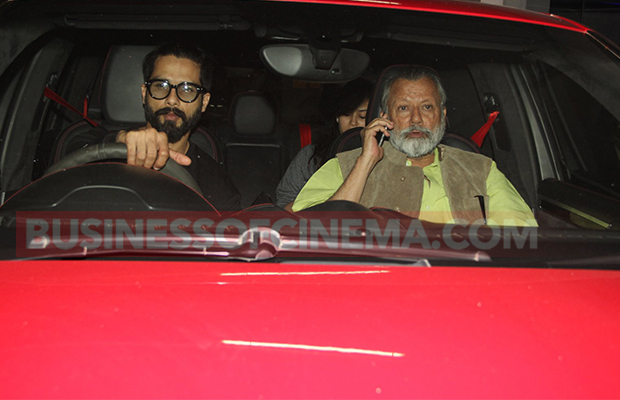 Shahid who will be seen as an army officer in Vishal Bhardwaj‘s period drama Rangoon was accompanied by his wife Mira Rajput and dad Pankaj Kapoor for the screening of the film. 2. 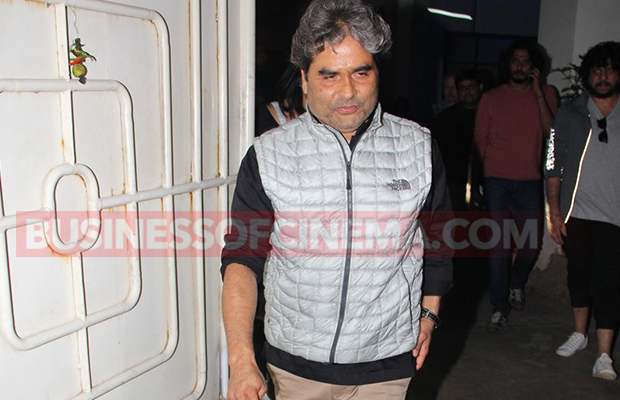 Director Vishal Bhardwaj was also clicked with his wife Rekha Bhardwaj at the screening. Rangoon is a period drama set in the 40s against the backdrop of World War II and also stars Saif Ali Khan and Kangana Ranaut in the lead roles. 3. The private screening of the film saw family members and cast in attendance. However, other two leads, Kangana Ranaut and Saif were nowhere present. 4. This is for the first time Shahid Kapoor will be sharing the screen space with Saif Ali Khan and Kangana. 5. The trailer of the film has received a huge response and the film is all set to release on February 24. 6. 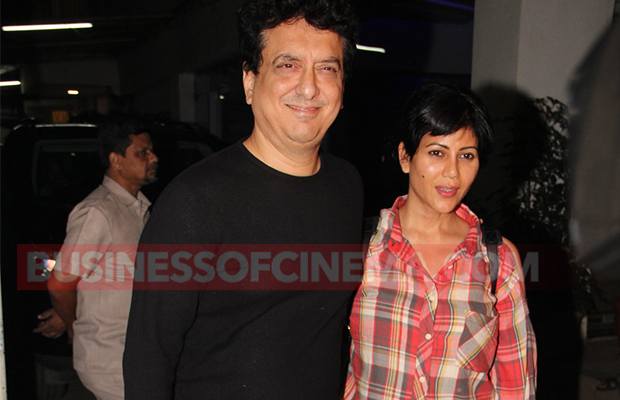 Producer Sajid Nadiadwala was also clicked at the screening of the film with wife Wardha. Previous articleSunny Leone, Karan Singh Grover, Amy Jackson And Others Party Hard At A Launch!